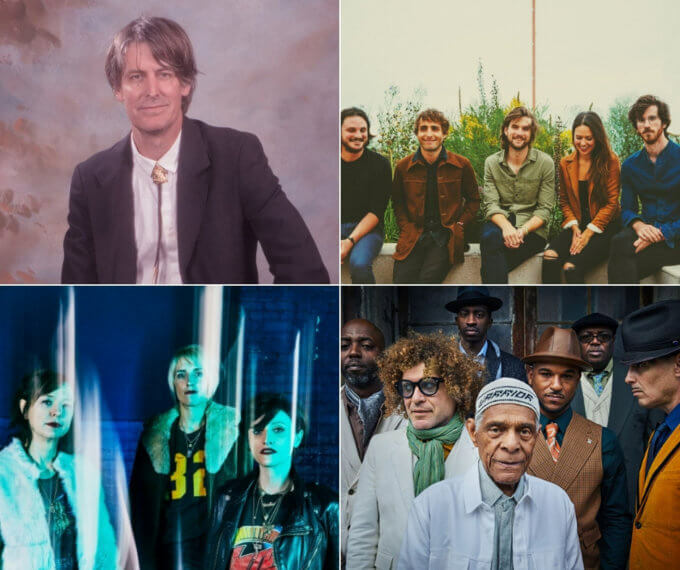 At our Music Meeting, new songs from Stephen Malkmus, Preservation Hall Jazz Band, Ex Hex, and more were featured. On Wednesday, we hosted our Music Meeting in Denver, at The Walnut Room. Thank you to all who made it out! We’ve included the playlist of songs for your consideration. We look forward to seeing you at our next Music Meeting! That one takes place at Avogadro’s Number in Fort Collins on April 11. We’re looking forward to seeing you there. Sam Fender | "Hypersonic Missiles"
Sean McConnell | "Rest My Head"
Ex Hex | "Rainbow Shiner"
Preservation Hall Jazz Band | "Kreyol"
Stephen Malkmus | "Rushing The Acid Frat"
Bonnie and the Clydes | "All My Love"
KT Tunstall | "Little Red Thread"
Taylor Scott Band | "Curiosity"
The Mountain Goats | "Cadaver Sniffing Dog"
Yola | "Love All Night (Work All Day)"
Arcade Fire | "Baby Mine"
Bear’s Den | "Laurel Wreath"
Infamous Stringdusters | "Rise Sun"